Is your child’s behavior making you anxious? All great stories have a beginning. The story of your baby’s life is happening right now. Within the span of 12 months, your newborn will transform from a tiny creature intensely dependent upon you for survival into an active, expressive child with clear interests and preferences. It’s a story worth celebrating every step of the way. 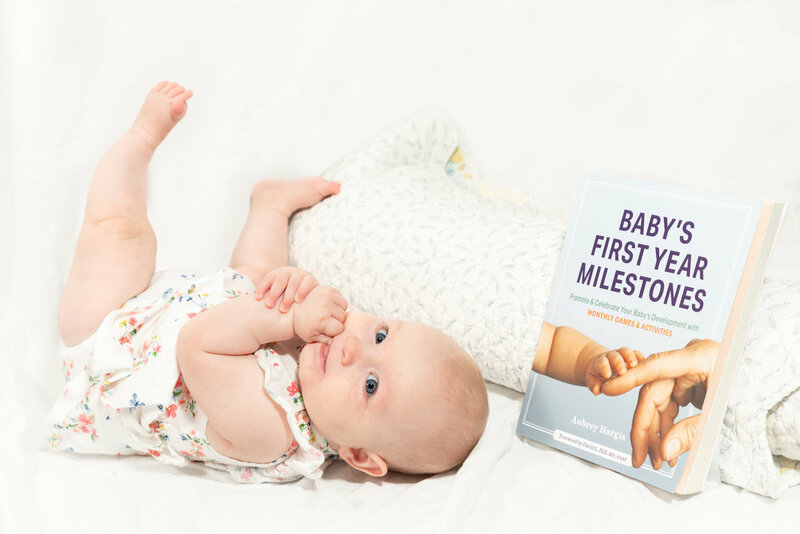 In my book Baby’s First Year Milestones, you’ll find straightforward, comprehensive descriptions of major milestones for every month of the first year, along with 150+ age-appropriate activities to help you bond with your baby and encourage learning through play. Parenting isn't something that you do. A parent is something that you become. The birth of your baby is a momentous occasion, but a lot of emotional growth happens after that; it takes trust, compassion, and bravery to develop a respectful relationship with your child. What does my child need? What is my child trying to learn? What do I need? What am I trying to learn? As a parent coach and educational consultant, I help parents learn more about their children's stages of development, activities that educate and build relationships, and how to handle challenging behavior. I’m Aubrey. I’m a mom of two and a life-long Montessorian dedicated to helping parents tap into their child’s natural-born ability to seek educational opportunities in the world. I offer both group coaching and one-on-one consultations. Find the calm. Find the magic in childhood. I write about child development to help parents better understand their children's behavior, gaining insight into their developmental needs.Whether you have a baby, a toddler, or a preschooler, you are welcome to search or explore the archives for inspiration and information about children. I am a certified and experienced Montessori teacher and educational consultant. In 2013, I created a surprisingly popular Facebook community called Montessori 101. The discussions are lively, and the wealth of knowledge about compassionate parenting from the member base is immense. I help parents teach their children.